We believe in the beauty of typography. 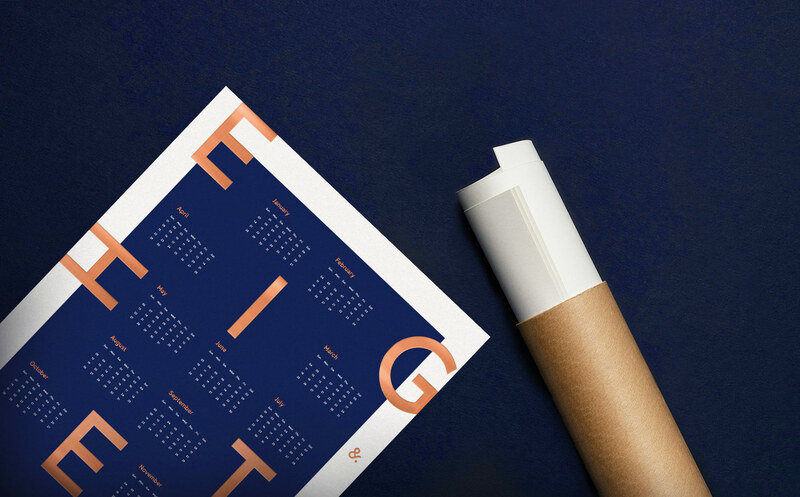 With obsession to details and love for simplicity & minimalism, our new 2018 calendar becomes much more than a poster. It is as a true piece of art that will enlighten your room and give your home a good feeling the entire year. The calendar comes in a limited series. We use letterpress to print copper metallic foil letters on beautiful uncoated paper combined with a marine blue pantone color. The combination of this high quality printing technique, used materials and colors is simply adorable. We guarantee you that the calendar will make you happy every time you look at it. PAPER:We use a 170g/m uncoated art paper with a nice touch and feel. 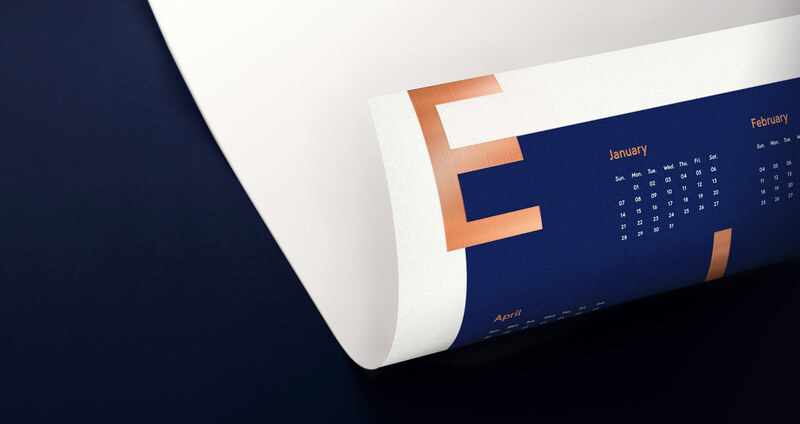 The blue color with the copper foil looks simply gorgeous on it. LETTERPRESS:We sourced a print shop that was able to produce such large sized foil letterpress. We made sure that the copper metallic foil is printed in high quality and shows all details. OFFSET:We use offset print to print the first layer of blue pantone color on paper before it goes to letterpress. FORMAT:We decided to print the calendar in the standard format 700x500mm (19.6x 27.5 inch), being the perfect size to hang in your home. LTD SERIES:We are only producing a limited series. There will be a total of 300 pcs. carefully packed and shipped to you. 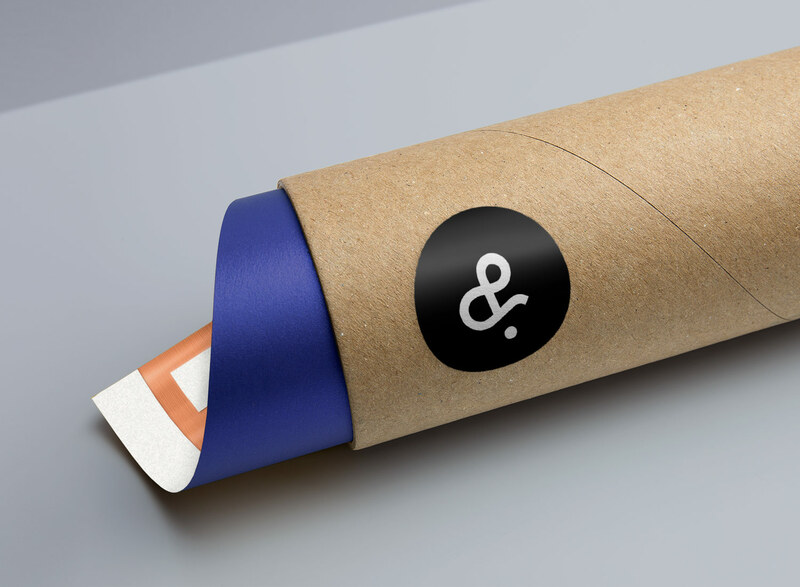 Once the poster is printed, each calendar will be carefully packed, wrapped in silk paper and shipped in a cardboard tube directly to you. We are starting to ship worldwide in November 2017. Disclaimer: Please note that slight color deviation in print may occur and that colors on your monitor can not display the printed version 100% accurately. All terms&conditions can be found on Mindsparkleshop.com - our e-commerce shop. We are Type&Face. 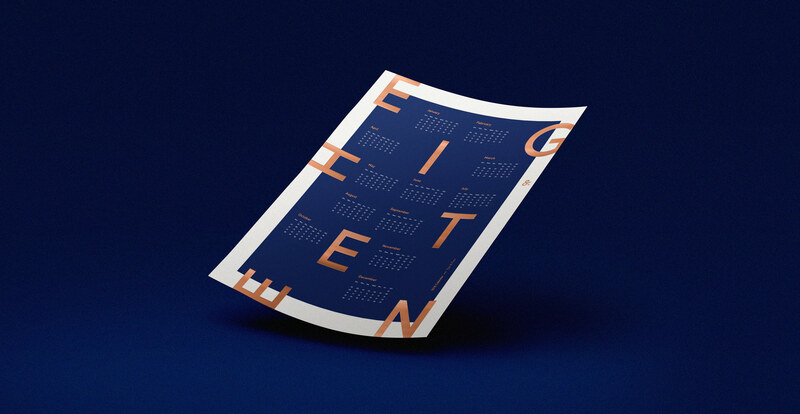 We believe in the beauty of typography and minimal design. What better way to express your love type design than by creating unique pieces of art in limited series. 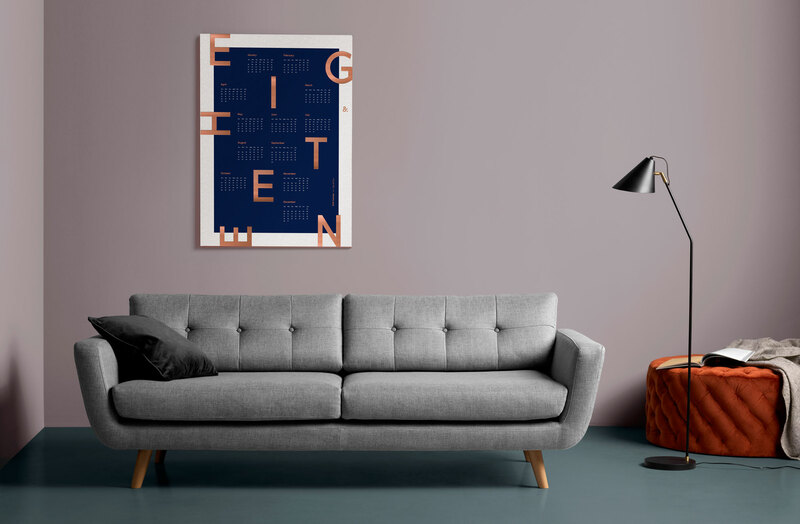 Our quality printed posters will enlighten every room and make them instantly more habitable while giving you a true feeling of home. Type & Face was founded in 2016 by Filip Triner – a German graphic designer & maker who admires beautiful design and loves typography. He is also the creator of Mindsparkle Mag a high quality design blog that honors other designers work daily.